Privacy lawyers are as busy as ever, with no end to the field’s growth in sight. New data protection and consumer privacy laws are now being adopted with regularity, it seems, around the world. The IAPP Privacy Bar Section has also been busy. We’ve produced web conferences, including one on understanding harms in privacy and data protection featuring Terrell McSweeney, Ryan Calo, Gabriela Zanfir-Fortuna, and Müge Fazlioglu. We have two books in the works – “Negotiating Data Processing Agreements,” which will include a model Data Processing Agreement, and “Privacy Guide for Nonprofits and Charities,” written by volunteers from the Privacy Bar Section. This summer we welcomed the inaugural class of Privacy Law Specialists – an IAPP-conferred credential, accredited by the American Bar Association, that awards attorneys with two IAPP certifications, who pass an ethics exam, and who demonstrate substantial involvement in the practice of privacy law, with the ability to designate themselves as privacy specialist. The first class of 27 attorneys will be celebrated at the Privacy. Security. Risk. conference in October. Speaking of PSR, we’re also hosting a Privacy Bar Section luncheon for lawyers attending the event; please join us to meet other privacy attorneys and grow your network. And in November, we’ll host our first European privacy law forum at the upcoming Data Protection Congress in Brussels. Meanwhile, keep your eye on the IAPP Resources page and the Privacy Tracker publications for news about privacy laws. The IAPP is always open to submissions by attorney members looking to share their knowledge with the growing IAPP family. What exactly does the law call for? How is a “California resident” defined, and which organizations will be affected? What are the penalties for non-compliance, and does it provide for a private right of action? Join us for a virtual discussion featuring some of the best privacy law experts on the West Coast, and learn the answers to these questions and more. You’ll hear about the provisions of the new law described in detail, along with an analysis of the impacts this wide-ranging new compliance requirement will have on consumers and companies alike. Cary Bassin, Counsel, Google Inc. 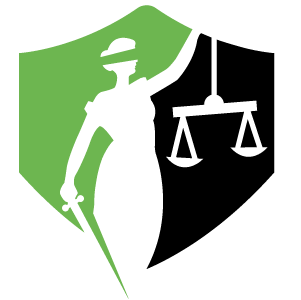 This is where privacy lawyers, including practitioners and judges, academics and students, find the resources they need to discover, discuss and debate the latest legal developments, such as CJEU and Supreme Court jurisprudence; international, federal and state court decisions; new legislation, legislative bills and more. For members, the Privacy Bar Section is the hub of activities, including programming, publications and networking opportunities for privacy law developments in the U.S., EU and around the globe. The American Bar Association’s House of Delegates has voted to approve a resolution on the IAPP’s Privacy Law Specialist accreditation for a five-year term. For more information about the Privacy Law Specialist designation and the IAPP’s application process, read the ABA Whitepaper May 2017 or listen to the web conference recording now available. The IAPP’s list of guidance documents offers links to pdfs, organized by topic, from the Article 29 Working Party, various data protection authorities, law firms, consultancies and more. Getting started in privacy law? This tip sheet from the IAPP offers ideas on how to increase your knowledge, visibility and marketability as you get started with a career in privacy law. Guiding the Privacy Bar Section, the Advisory Board—chosen from your nominations—represents a diverse group of leaders with a broad range of privacy law expertise. Meet each of them now. Active Learning at Summit May 1 Registration is open! Conference May 2-3 Registration is open! Conference May 22-24 Registration is open! With the EU General Data Protection Regulation looming, vendor management is top of everyone’s mind. The first step, of course, is a good contract. To help with that, volunteers from the IAPP’s Privacy Bar Section have worked together to crowdsource a model data-processing agreement that is now freely available for IAPP members. This is not legal advice, and you use or modify it at your own risk, but some really good lawyers put time and energy into this as part of a larger effort of writing “Negotiating Data Processing Agreements,” a book edited by Naspers Global Head of Data Privacy Justin Weiss, CIPP/A, CIPP/E, CIPP/US, to be released this fall. Lothar Determann, Partner at Baker McKenzie, has published the third edition of his California Privacy Law book. Gain practical guidance, and essential, in-depth information on California and U.S. federal privacy law; how the laws apply to companies in other states and countries; risks and remedies under California and U.S. federal privacy law; how to start and maintain a compliance program and more. Available in print and e-reader versions. The recording is now available for a free, one-hour interactive web conference on the approach to privacy harms and the laws around them from a comparative perspective. Panelists: Ryan Calo; Terrell McSweeny; and Gabriela Zanfir; Moderated by IAPP Westin Fellow Müge Fazlioglu, CIPP/E, CIPP/US. Looking to join an IAPP Section? Great. It’s easy and affordable, and IAPP section members get access to tons of great benefits. Benefits that include a boatload of networking opportunities and specialized content, plus access to ongoing web conferences, exciting special events and a lot more. It’s all waiting for you, so don’t put it off.